What if I ask, have you seen or heard 100 runs scored in 3 overs? No, not in game console, I mean in real life. The amazing feat is never achieved even in the T10 format forget about T20 and One Day Internationals. But what, if I tell you the amazing milestone was achieved 86 years back on Australian soil. The batsman to surpass the megalomaniac feat was none other than Sir Donald Bradman. It was a match played in Blackheath town between Blackheath XI and Lithgow XI. Bradman was playing for Blackheath XI along with his New South Wales teammate Oscar Wendell Bill. During the 1930’s, the overs were off 8 balls. While Bradman was standing at the crease, he had a chitchat with wicketkeeper Leo waters asking about the bowler. Waters replied- He bowled you in an exhibition match in Lithgow a few weeks ago and has been boasting about it ever since, at your expense. This infuriated Bradman called his batting partner Wendell midway and said “I think I will have a go”. 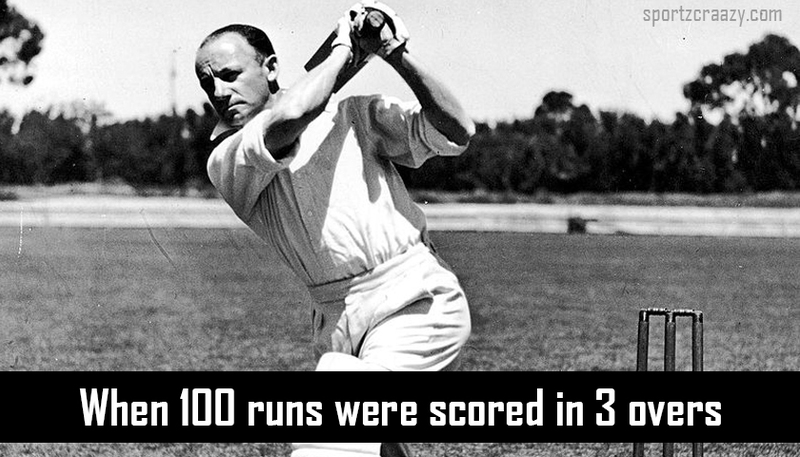 Astonishingly, in a span of 18 minutes, Bradman scored the most unsung century. Most of the sixes and fours went out of the park reaching the roads, lanes or pine trees. It was a real treat for the kids and ball boys fetching the lost ball every time the shot were hit. After the match the Blackheath’s Mayor Peter Sutton asked Bradman to keep his bat as a memento. Bradman replied that he can keep the bat, but once stopped playing with it. A few months later the bat was received by the Mayor with a letter stating to consider it as gift promised. The letter also concluded that he broke the bat while playing at Callen Park mental hospital. The bat was considered the lucky mascot as he played some crucial innings between September 1931to December 1931, which include 135 vs. South Africa, 226 vs. South Africa, 219 vs. South Africa, 112 vs. South Africa and 167 vs. South Africa. Even Don Bradman couldn’t handle the toll. For many years the autographed bat was kept safely by Sutton family, but in 1950’s loaned the bat to Blackheath bowling club, where it was displayed for many years, until the club was taken over by Katoomba RSL, making the bat a museum property to allow the public to visit and witness the unique master piece. How to Become an All Rounder? 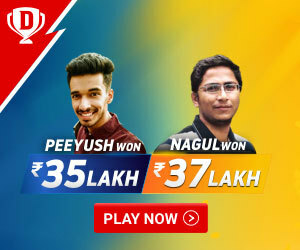 How to Play Gully Cricket?